We’re Mike and Amy — DIY enthusiasts, and your hosts here at DecoratorsWisdom.com. 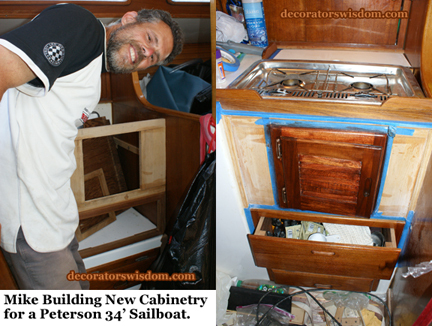 Mike’s the guy you see pictured above; in these photos, he’s working on building and installing some cabinetry for a galley remodel in a Peterson 34′ sailboat. 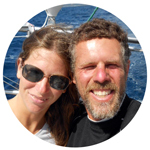 After having recently completed bunches of DIY projects for sailboats, Mike’s convinced that DIY projects for the home are easy in comparison. This is partly because boats have oddly-shaped curves in unexpected places, which can be tricky to work with. Mike’s not afraid to tackle any DIY project, from plumbing to woodworking to electrical repairs. He has extensive experience with home and commercial AV installations and sales. Mike is also a talented web programmer. He’s the guy who keeps this website running smoothly. Amy’s a textile designer, colorist, trend forecaster, author, educator and crafts enthusiast. She enjoys researching anything related to color, design and decorating. Amy is the author of all the design and trend articles here at DecoratorsWisdom.com. 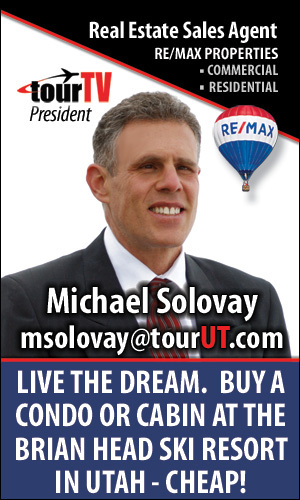 Some of our other interests include green building, organics, sailing, travel and cats. Our dream for the future: to build ourselves a sustainable, off-grid-capable green home powered by sun and wind — and to plant an organic, permaculture vegetable garden on the property. We’re looking to “meet” and build relationships with others who have done this, and with others who plan to do this too. You can see a picture of our “furbabies” pictured below. 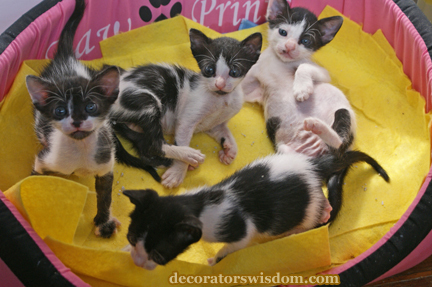 Our current reality: most of the proceeds from this website go towards keeping these little cuties fed and happy, along with a few dozen of their feral friends. Which reminds me to mention that this is a commercial website; our site includes both ads and affiliate links. THANKS in advance to any of you who make purchases through our affiliate links. We really appreciate your support; it goes a long way towards keeping this website running, keeping a bunch of kitties happy, and keeping our hopes, plans and dreams for the future alive. You can learn about our website policies here. Thanks for visiting!